If you’re working with PDF files tirelessly then you know how hard it really is to handle a multitude of formats all the time. Sure, it can be nice and all in the beginning, but the reality is that when you have to work with dozens or more files, things can easily go haywire. Specially as a blogger you have to deal with several types of documents and a file is not in format that you need. You will need to convert it to the format of your choice. This is why using Docs.zone is a very good idea if you want to convert PDF files to Word or the other way around, as the process is performed fast and in seamless manner. Why Would You Convert PDF to Word?The answer is simple, while PDF is a great format with support for multimedia items and so on, there are many situations in which you just want to access the writing and not the images. In addition to that, Word documents are smaller in size, which makes them a lot easier to share online or store on a server, something that’s crucial if you want to process more than a single file.How Can I Convert PDF to Word with Docs.zone?Docs.zone is a website created with ease of use and affordability in mind, since all the conversion tasks you need can be performed fast and without paying for anything. The process of converting a PDF file to Word with Docs.zone is very simple, and it just requires you to go through a few simple steps.You will need to enter the Docs.zone website and then select the PDF to Word tab Once on the site, all you have to do is to select the files that you want to process by pressing the Select Files button and then navigate to the folder in question. Here you will need to select the file you want to convert. You can add more than a single file if you want, which makes it very convenient to work with dozens of files at the same time. You will need to press the Start button in order to start the conversion process. Wait for a little while in order for the website to process the order, and that’s it, you don’t need anything else other than that. Your files will be delivered on the website, immediately, so that you can download them on the spot. What makes Docs.zone a great choice for converting your PDF files to Word is definitely the ease of use, because the website can handle processing many files at once. Not only that, but Docs.zone also comes with a very good speed, as all files are converted almost immediately. The only concern you need to have is the speed of your internet connection, because the website will surely take care of the rest in this regard. As you can see, Docs.zone is the best choice for any person that wants to convert PDF to Word fast and with astounding results. 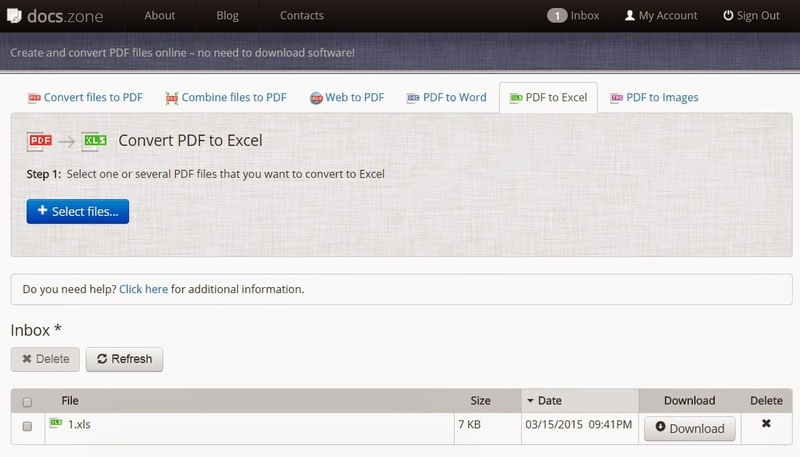 This is a free website targeted to provide you with a wonderful and exciting downloading experience, so if you want to get a good PDF conversion experience, check out Docs.zone right away, you won’t regret it.